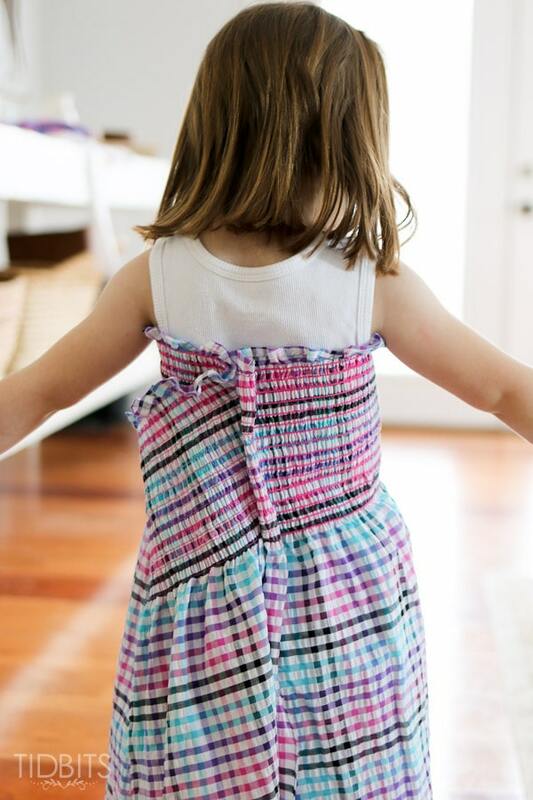 The time when you pull out your kids clothes for the warmer months – only to realize they have outgrown every item of clothing from last season. And you reflect on the fact that they are growing faster than the weeds outside – and that is saying something. 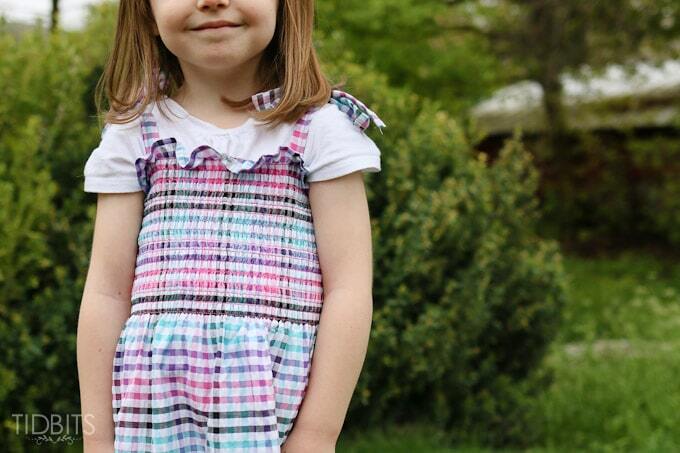 If you know exactly what I am talking about, and you have some sweet little girls that are sprouting before your eyes – it’s time to sew up some quick, simple, and easier-than-home-economics-class, little dresses for them to frolic around in. 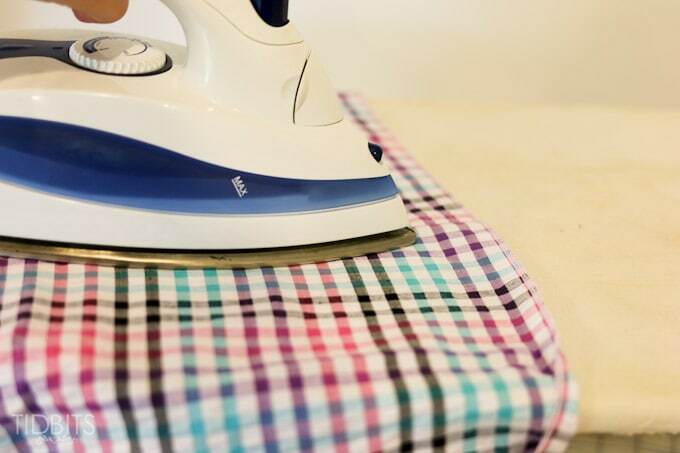 All you will needs is some pre-smocked fabric, and an hour of your time (or less) – and you’ll have some perfect spring/summer clothes to add to their wardrobe. 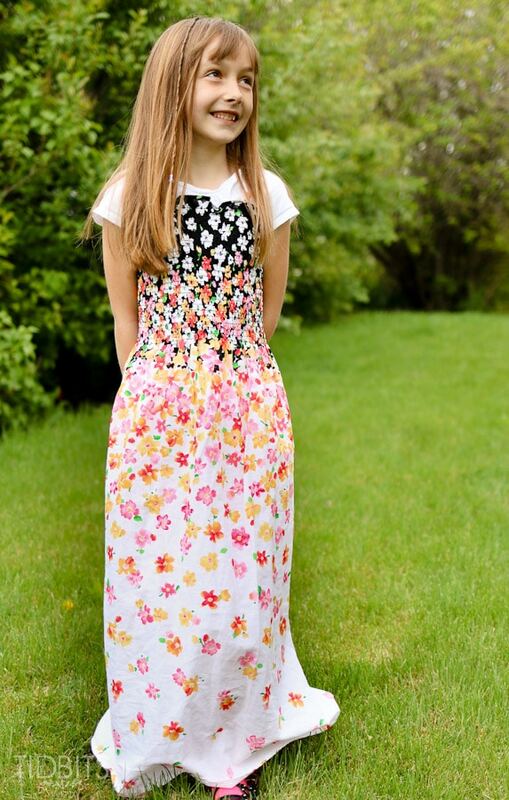 I happen to have 3 little darlings that are in desperate need of dresses, so these fast-to-sew dresses really fit the bill. 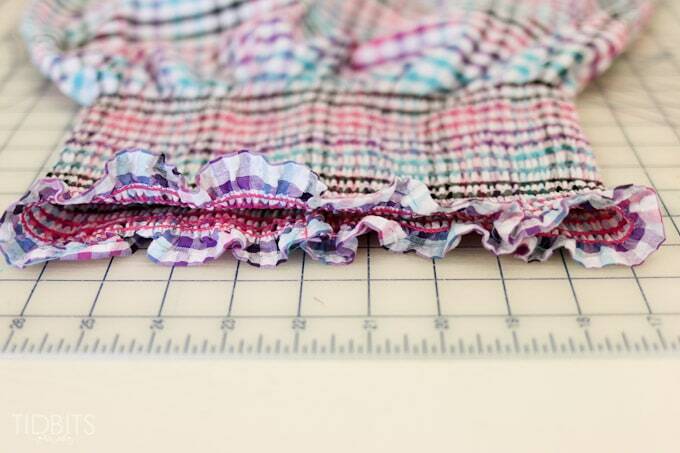 If you have a Joann fabric’s near you, they have so many bolts of pre-smocked fabric to choose from. I was lucky enough to snag some on clearance for 5-7 dollars a yard. That made these dresses cheaper than anything I could buy from the store. 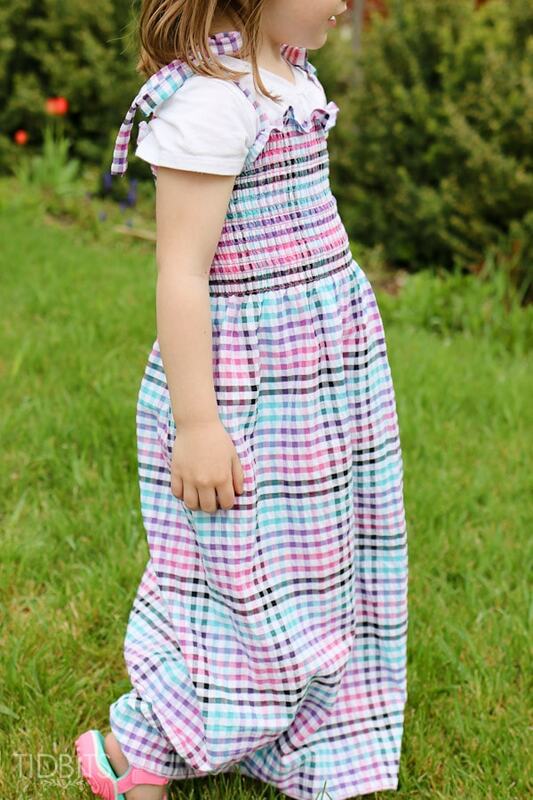 These adorable dresses come together in 4 easy-peasy steps! 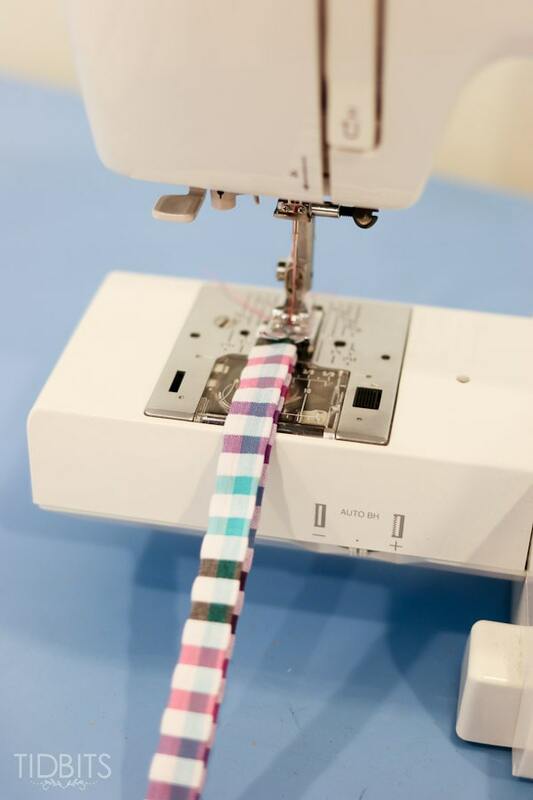 Measure, cut, sew, and make the straps. 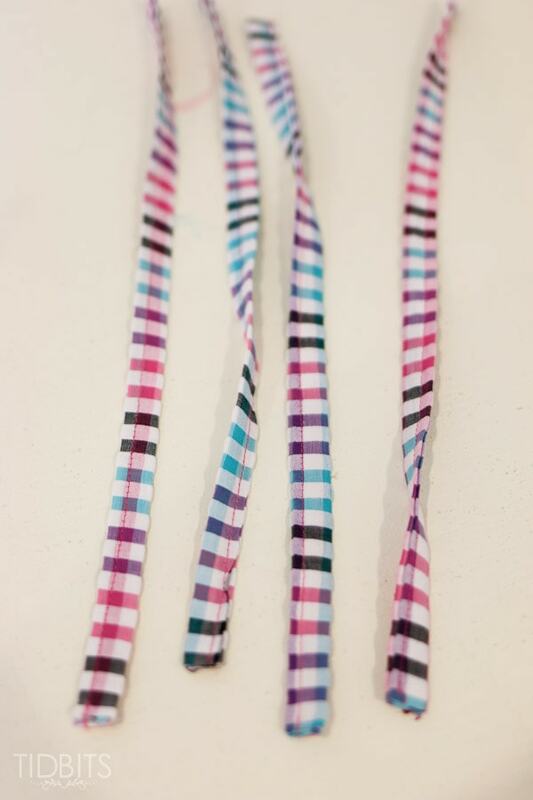 You can make the straps so they tie up at the shoulder, or keep it simple with one continuous strap. 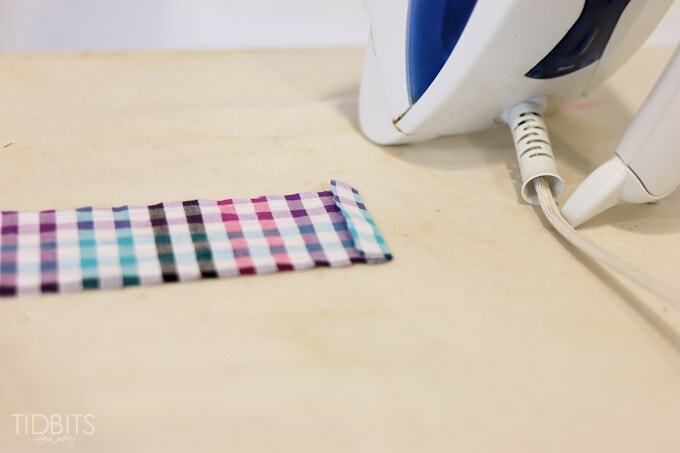 You could even omit the strap completely and make it super easy-peasy! 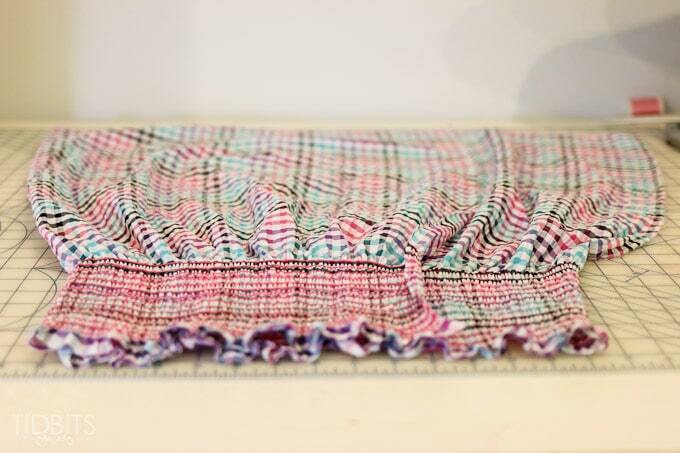 Pre-smocked fabric comes hemmed as well, so no need to add in that step! 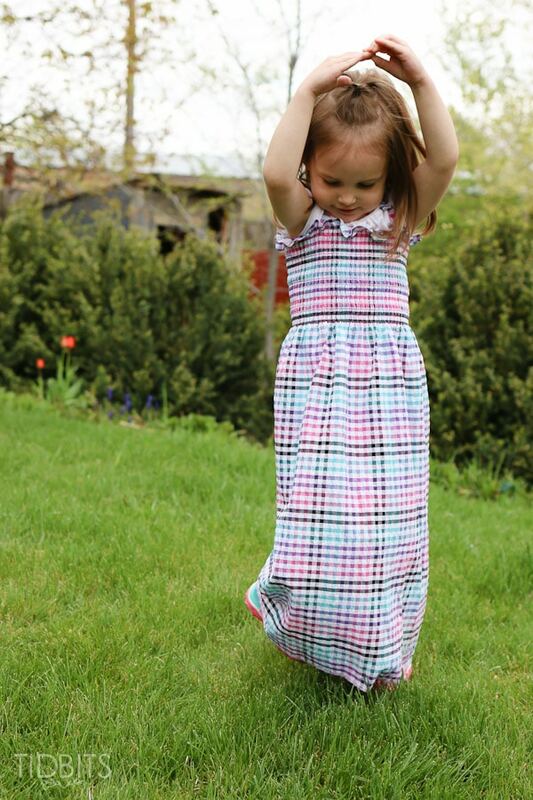 You can buy the extra long fabric, making more of a maxi-dress for your little one. Or keep it shorter for a breezy summer feel. Either way – my daughters love how comfortable they are! I must add – you can follow my directions for any size of dress – even one for YOU!! We saw these types of dresses all over the place in Hawaii. Cool comfort, at it’s finest. 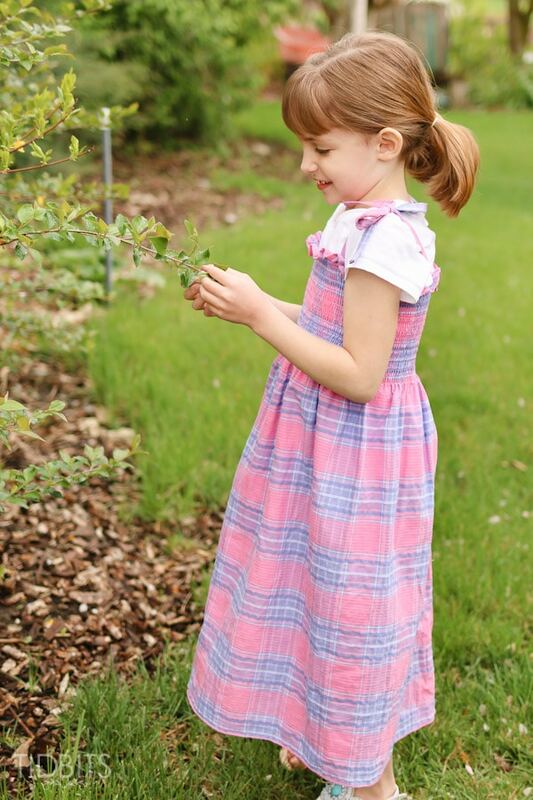 If your ready, let me show you just how easy these pre-smocked dresses can be! This is all you need (assuming you have all the sewing essentials on hand like the machine, and thread). How much fabric you get depends on who you are making it for. Let’s talk about that below. You need enough fabric to wrap around the body, snuggly, plus some for the straps. Be sure to measure your child before you run to the fabric store, or take their little body with you and determine there how much you need. 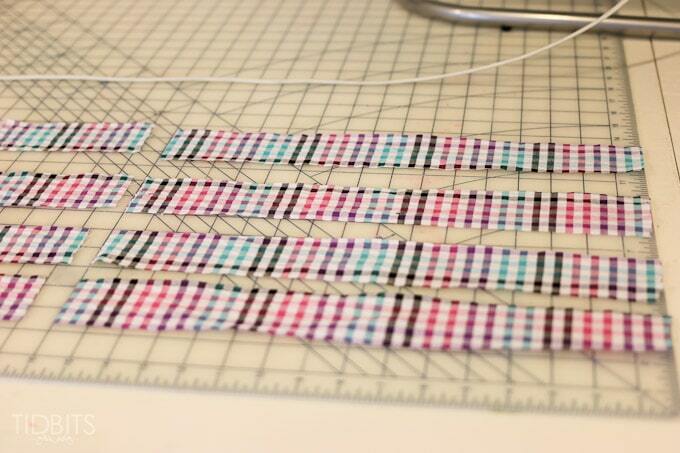 If you are making straps for your dress, I recommend getting an extra 1/4 of a yard. 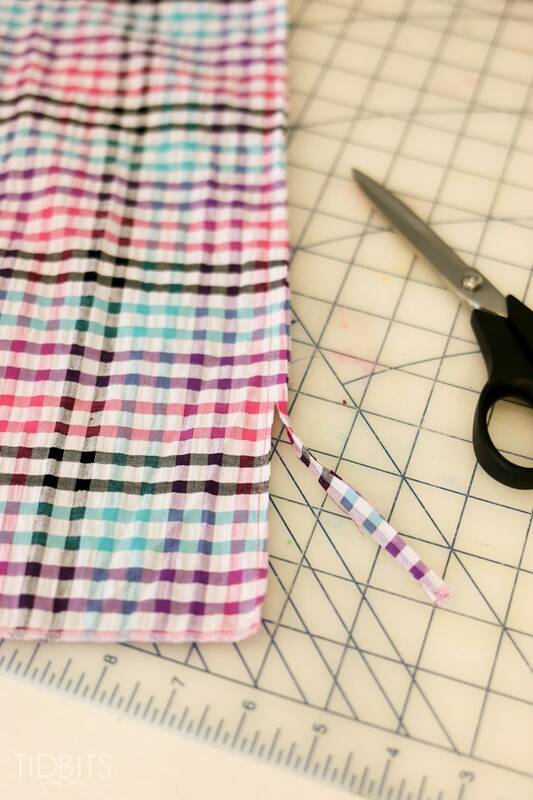 To measure where you will cut, turn your fabric wrong side out and wrap it around the body. You want the top smocked portion to be snug, but not pulling tight. Pin where you feel is the best place for your back seam (only on the smocked portion), and carefully slip them out of the fabric. Also note, if you intend to have them wear an undershirt with the dress, I recommend fitting them with the undershirt on as well. 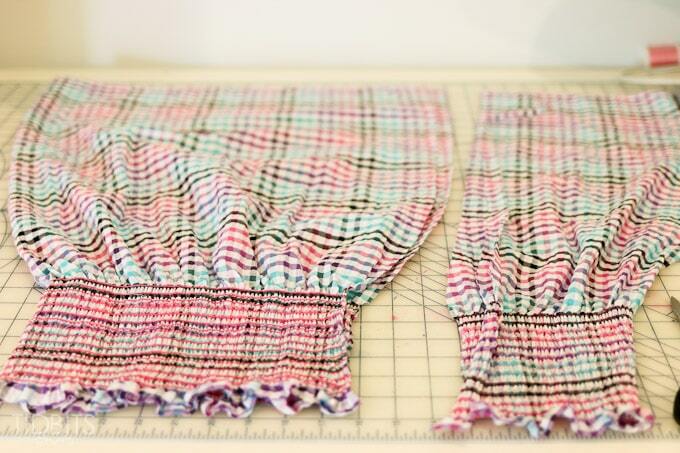 Lay the fabric on a flat surface, folded, with the pins from the measuring still intact. 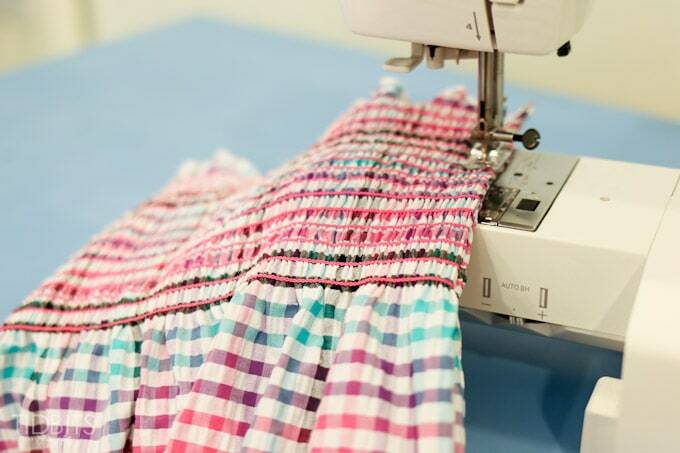 You are then going to cut the smocked portion in a straight line down, adding 1/2 inch from the edge of the pins – for your seam allowance. Before you cut the bottom portion of the dress, notice the curvature of the other side of the folded dress. 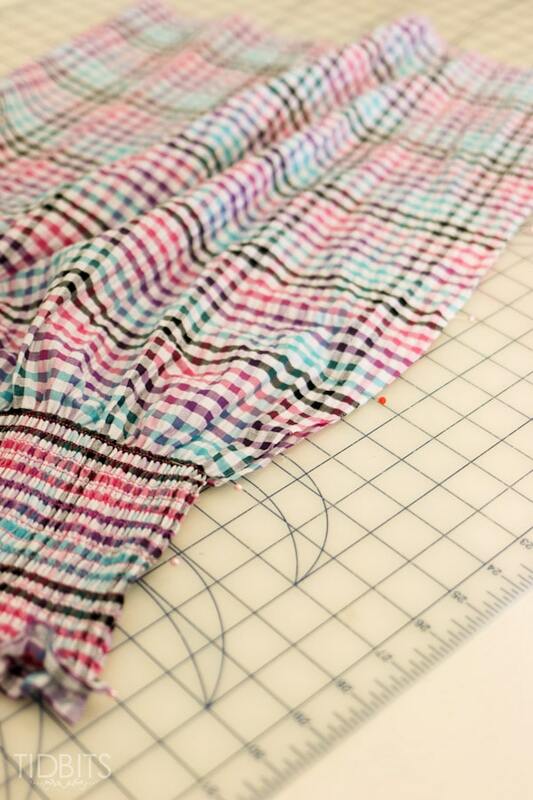 You want to match that curve as best as you can when you cut, rather than going in a straight line down the fabric. That way the dress keeps a nice even flow throughout. If it would help, fold your fabric to match the other side and trace a line with the curve (or eye-ball it – because you are lazy). At this point your fabric should still be wrong sides out. 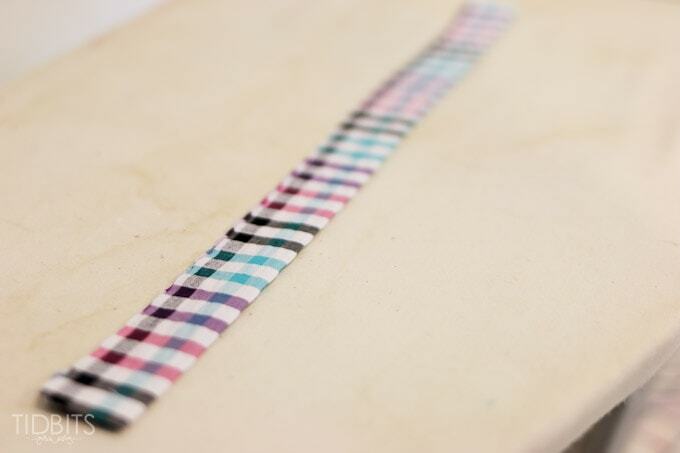 You have a couple of options for this seam you are about to sew. 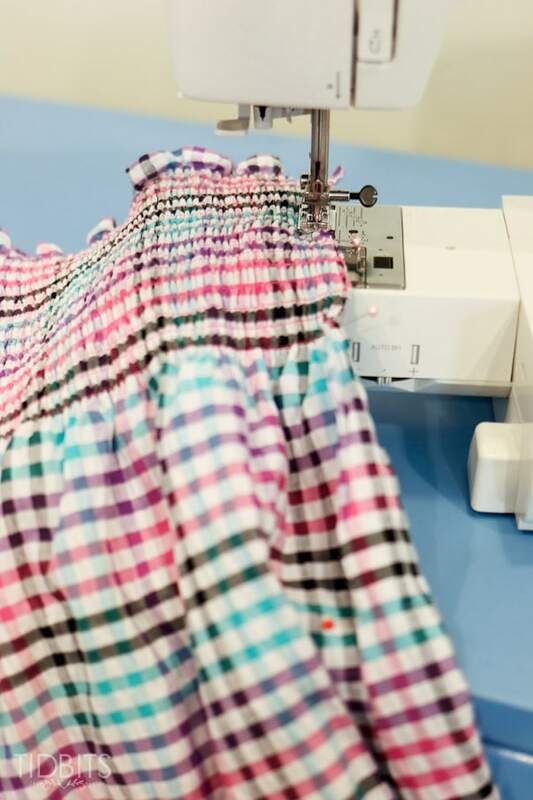 If you have a serger, or pinking shears, or some way to finish your seam edge so it doesn’t fray, you can simply keep the dress wrong side out and stitch your back seam and finish your edges. If you don’t have those quick seam finish options, and you still want a clean seam – I am going to show you how to do a simple french seam to make all the edges nice and tidy. First, open up the dress and fold it so right sides are facing out and match the edges up evenly. 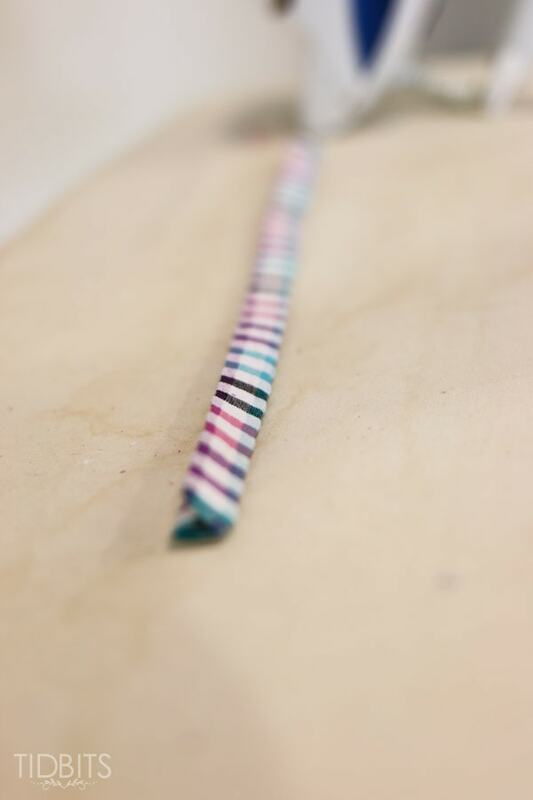 Pin securely in place all the way down this edge where you will create your back seam. Stitch 1/4 of an inch away from the edge all the way down. Now trim the edge you just sewed closed, to 1/8 of an inch away from the stitches. Now, turn the dress so the wrong sides are facing out, and press it so the back seam is folded to the very edge. Stitch again, 1/4 inch away from the edge. This encases those raw edges inside the seam, and no one will ever see them! Press the seam so it lays nice and flat. I am going to show you how to make the straps where they tie on the shoulder. You will need 4 strips of fabric for this. 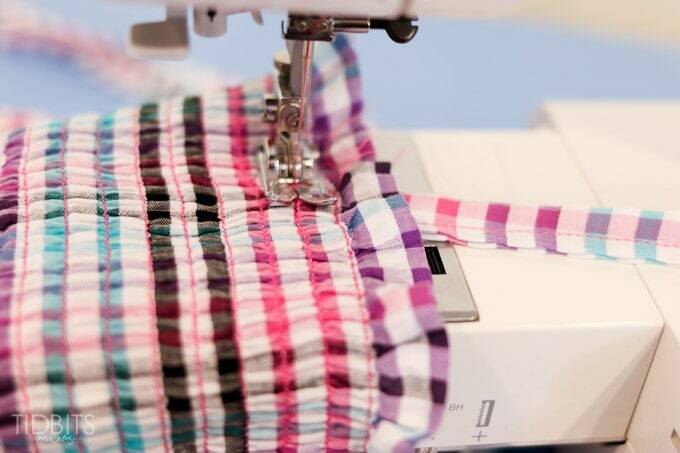 Use the remaining fabric to make these straps, or you could use some kind of ribbon or trim. 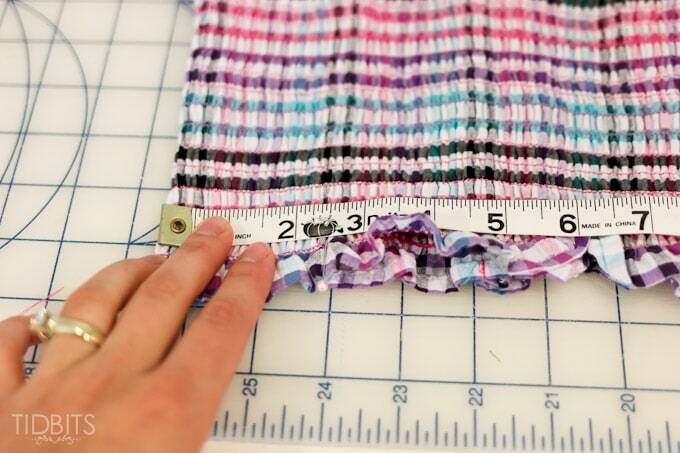 Cut 4 strips of fabric measuring 2 x 16 inches. Press both ends in 1/2 inch, wrong sides together. 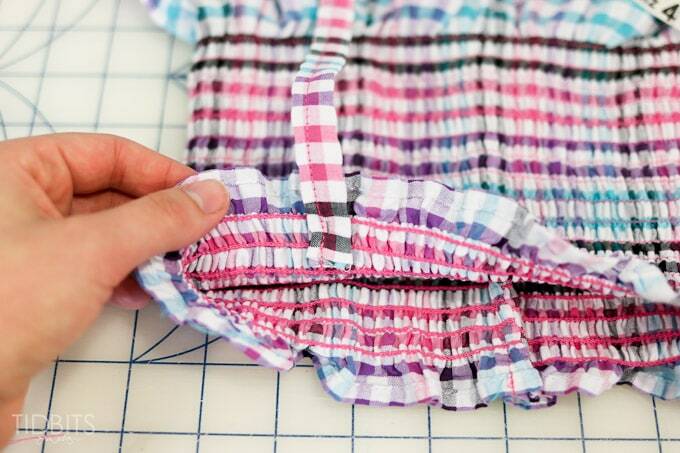 Fold the strap in half long ways, wrong sides together and press to create a fold line down the center of the strap. Open the strip back up, and fold both of the long edges in to meet the center fold. Press again to stabilize these folds. Now you will stitch those folded edges together along the long edge with the open fold, about 1/8 inch away from the edge. Do that for each strap. 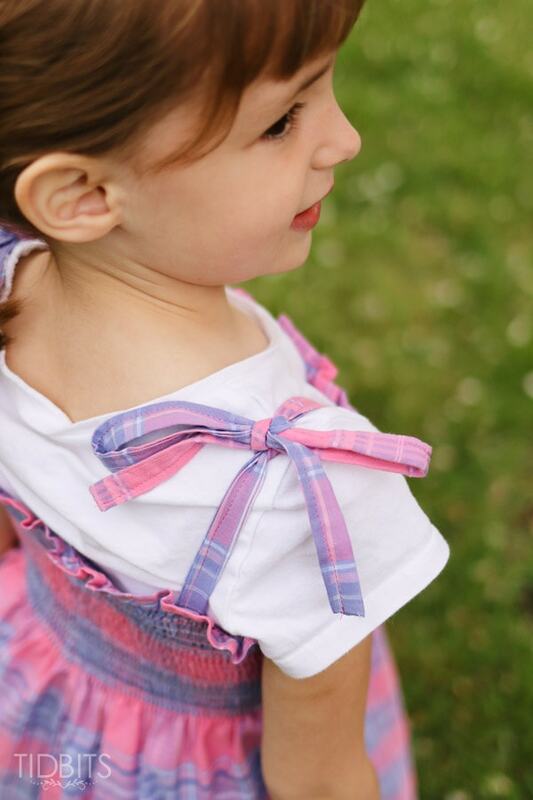 If you are just wanting a continuous strap rather than ties, you will only need 2 straps, and you will need to measure on your child where to sew them on and how long you would like them to be. 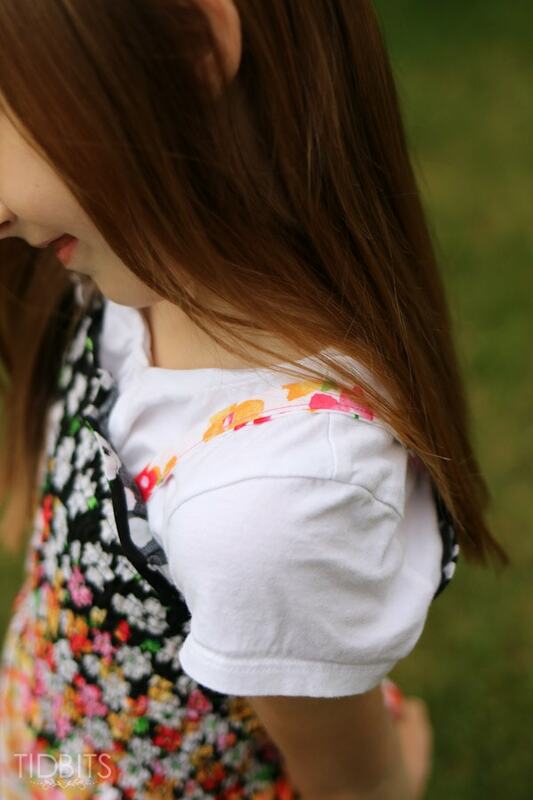 To attach your straps, lay the dress down with right sides out and with the seam in the center back. Measure and mark 2 1/2 inches away from the sides. You are going to center your straps on the 2 1/2 inch mark on all 4 sides where the straps need to be. Pin the strap inside the dress, making sure the strap is overlapping 2 of the smocked stitches. Pin all 4 straps inside. Sew the straps down with the right side of the dress facing out. 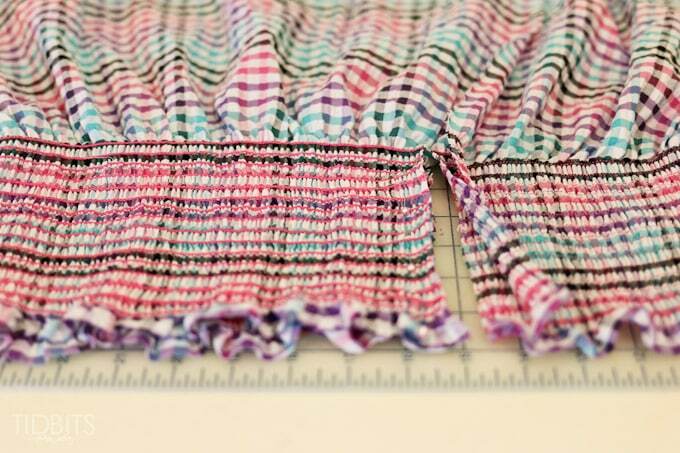 Follow the lines of the smocking, so the stitches are hardly noticeable. To add extra support, I stitched the strap twice following 2 of the smocked stitches down. And you are finished! No hemming, no sleeves, and only 1 seam! 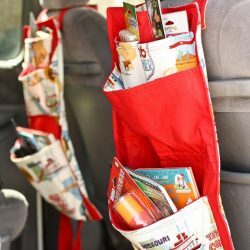 Speaking of summer, if you are looking for some projects for your kids, I have some great resources for you. 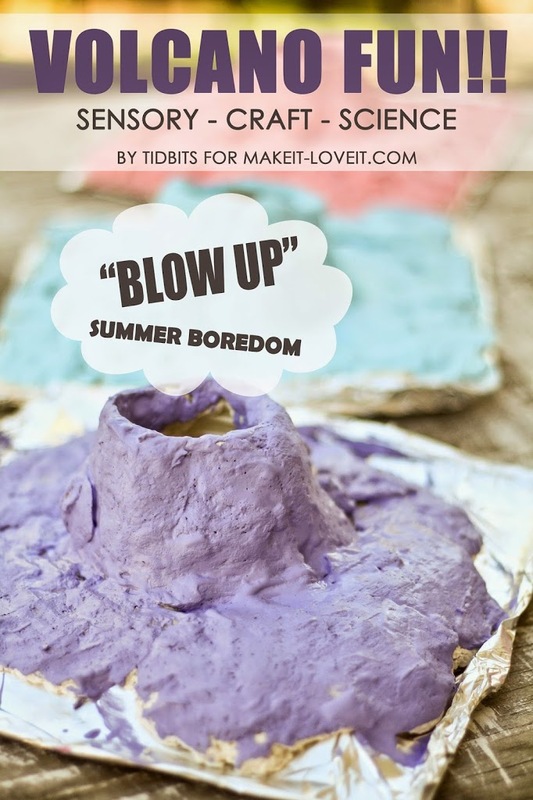 Take some time and learn about volcanoes and then make your own colorful explosions! My kids have been begging to do this again. Or, if you need projects for your kids where all the prep work is done for you (we all could use some of that come summer time), you’ll want to discover these 6 subscription boxes that deliver fun and educational goodies to your doorstep. I’ve done a personal review of each and every one in order to help you decide which one is the best for your child. We definitely have a few of these lined up for summer time. Go HERE. 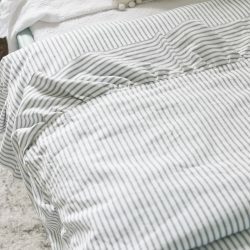 Or, if you are just ready to sew some more simple projects, start with these reversible pillowcases. 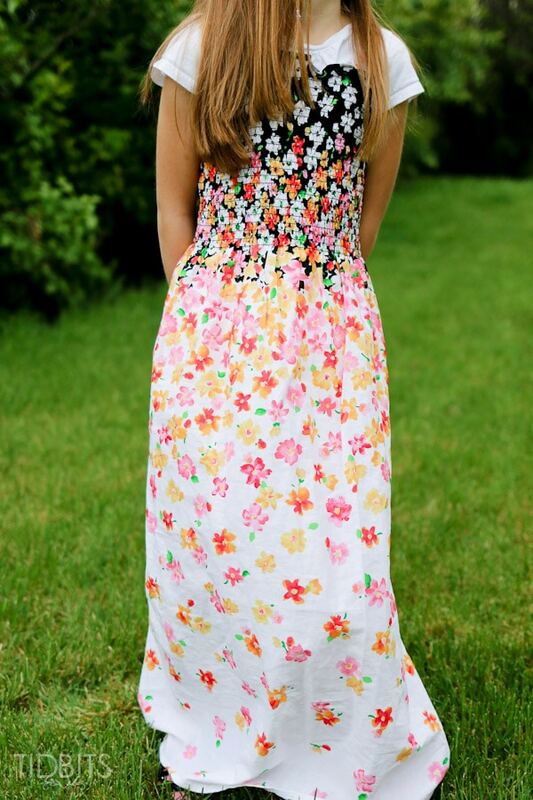 They come together just about as fast as these dresses – and they are so fun! When I was 16 – many, many, many years ago – I will be 65 this year. 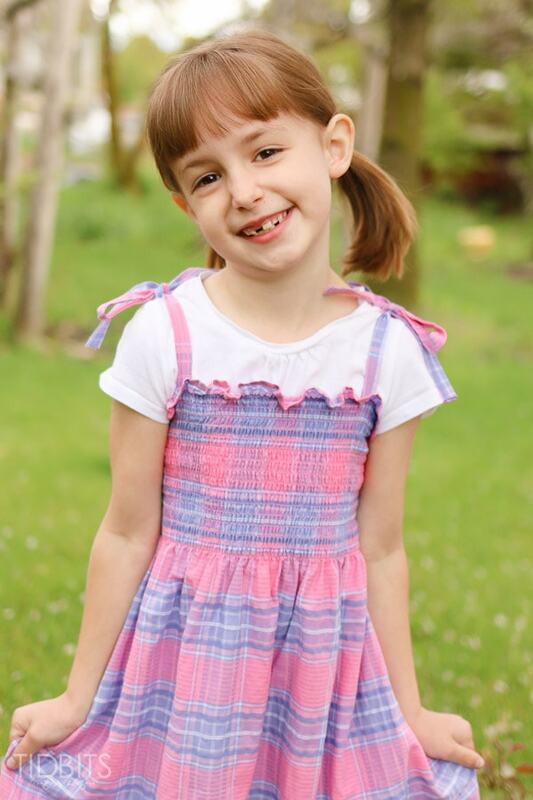 I took a sewing course to learn how to make smocked dresses. Well we make plans and God laughs. I got married and had 3 BOYS! 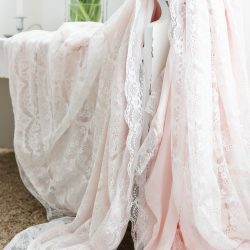 I don’t have any grandchildren – apparently I have 3 lazy boys – but I am hoping that one day I will be able to make a smocked dress for someone. Thanks for sharing. Aren’t these the best! It’s the only thing my 7 year old granddaughter wears and wears to bed. I’ve made a ton of them. 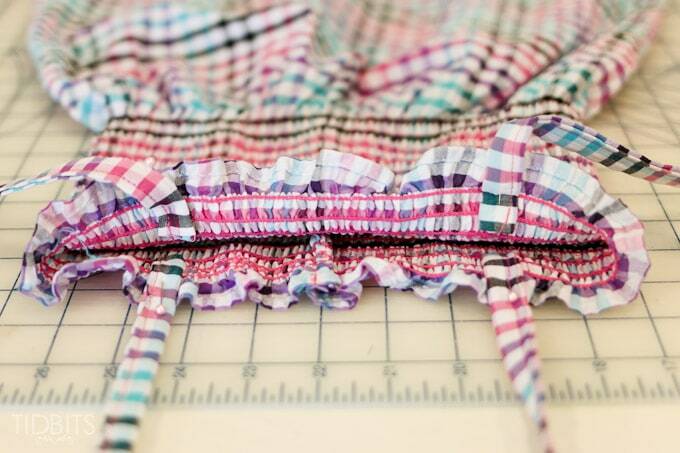 I do a French seam, use fancy, elastic, sold in packages or off the bolts, and lace, ruffles and all kinds of buttons or curly ribbon. The leggings she chooses are hilarious sometimes but so cute.